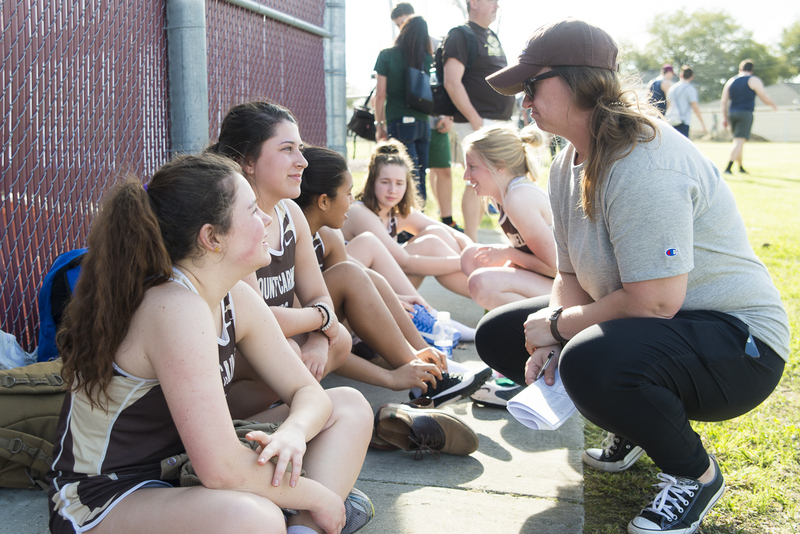 There will be an interest meeting for students who would like to participate in Track & Field on Monday, November 26 immediately after school at 3:20 P.M. Location TBD. The first official day of practice will be on December 10 after school. Athletes should contact their event-specific coach for location/time details. December 19 at 4:00 P.M. Location: City Park Practice Track. Don't forget about the Parents Meeting tonight at 6:00 P.M. in the school cafeteria! 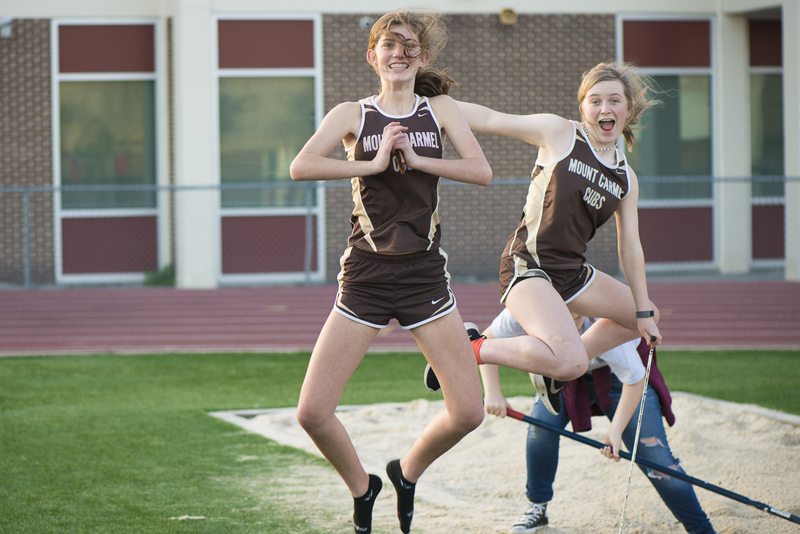 Junior High: The 4x100 meter and 4x200 meter relay teams finished 1st overall (Emily Chaplain, Mary Ferguson, Teresa Cashen, and Lyla Logan), and Emily Chaplain finished with the fastest 100 meter Hurdles time out of every athlete that participated in that event! 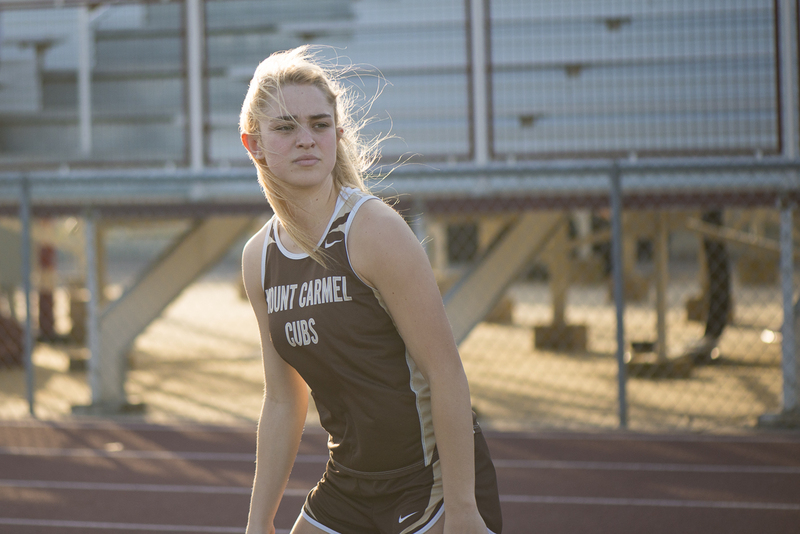 Junior Varsity: Victoria Taylor finished 1st in the Javelin and Elizabeth Traylor finished 1st in the 800m race. 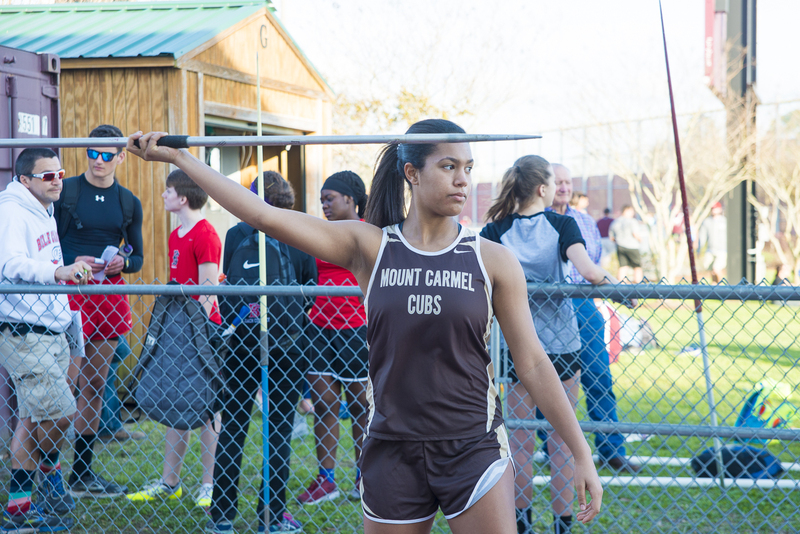 Varsity: Arianna White finished 1st in the Javelin and Caroline McCoy finished 1st in the Pole Vault and set a new personal record in the process. Lyla Logan finished 1st in the Long Jump with an incredible leap of 15 feet, 3 inches! The 4x100 meter relay team (Jane Schneider, Emily Chaplain, Mary Ferguson, & Teresa Cashen) and 4x800 meter relay team (Riley Imbornone, Anne Zimmerman, Emma Meneses, & Sammi Rogers) finished in 1st place! The 4x400 meter relay team (Riley Imbornone, Emma Brewster, Emma Meneses, & Sammi Rogers) finished in 2nd place! Mary Ferguson was named the team MVP for her strong performance in the 4x100 meter and 4x200 meter relay race. Congratulations Mary! Breana Collins finished in 1st place in the 100 meter and 200 meter races. In addition, Breana was named the Meet Running Events MVP for her efforts. Congratulations Breana! Isabella Wollfarth won the 800 meter race with a personal best time of 2:46! In addition, Isabella was named the team MVP for her strong performance. Congratulations Isabella! Theresa Falgoust finished in 1st place in the 3200 meter race with a personal best time of 12:30, and Kristen Guillera won the 1600 meter race! Katie Huval finished in 2nd place in the 3200 meter race, and Elise Vicknair finished in 3rd place in the 800 meter race! The Varsity 4x100 Meter Relay Team (From Left to Right): Lauren Tague, Lauren Perniciaro, Brianna Crabtree, and Mia Paternostro. Olivia Stant ran a personal best of 51.23 in the 300 meter hurdles race! The 4x100 meter relay team (Lauren Tague, Mia Paternostro, Lauren Perniciaro, & Brianna Crabtree), 4x200 meter relay team (Lauren Tague, Mia Paternostro, Olivia Stant, & Brianna Crabtree), 4x400 meter relay team (Brianna Crabtree, Allison Altman, Olivia Stant, & Ashleigh Gallagher), and 4x800 meter relay team (Caroline Ragusa, Allison Altman, Grace Elvir, & Ashleigh Gallagher) all ran season best times! Gabby Cefalu runs a season best time in the 100 Meter Hurdles Race! Annelise Meyaski (Left) and Theresa Falgoust (Right) off to the races in the 1600 Meter Race! Distance Runners take a break from a hectic meet schedule. Back Row (Left to Right): Haley Sumich, Elise Vicknair, Molly Monteleone, and Isabella Wollfarth. Bottom Row (Left to Right): Ashleigh Gallagher, Allison Altman, Grace Elvir, Kristen Guillera, Katie Huval, and Caroline Ragusa. Caroline McCoy finished 3rd in the Pole Vault with a career best jump of 7'3"! Arianna White finished 3rd in the Javelin with a throw of 93'4"! Olivia Stant finished 2nd in the 300 meter Hurdles with a time of 51.64 seconds! The 4x100 meter relay team (Lauren Tague, Mia Paternostro, Lauren Perniciaro, & Brianna Crabtree) finished 3rd, and the 4x400 meter relay team (Brianna Crabtree, Olivia Stant, Elizabeth Traylor, & Allie Altman) finished 3rd! Abigail Baroni leaps to first place in the Long Jump at the JV District Championship! Jordan Miller finished 1st in the Shot Put with a throw of 27'3"! Victoria Taylor finished 3rd in the Javelin with a throw of 80'3"! Abigail Baroni finished 1st in the Long Jump with a leap of 14'6"! Catherine McClure finished 3rd in the Long Jump with a leap of 13'2"! Emily Allen finished 1st in both the Triple Jump (30'11") and High Jump (4'0")! Allie Broussard finished 3rd in the Triple Jump with a leap of 30'2"! The 4x800 Meter Relay Team (Molly Monteleone, Isabella Wollfarth, Annelise Meyaski, and Elise Vicknair) finished in 2nd Place with a time of 11:16! Annelise Meyaski finished in 1st Place in the 1600 Meter Race with a time of 5:59! 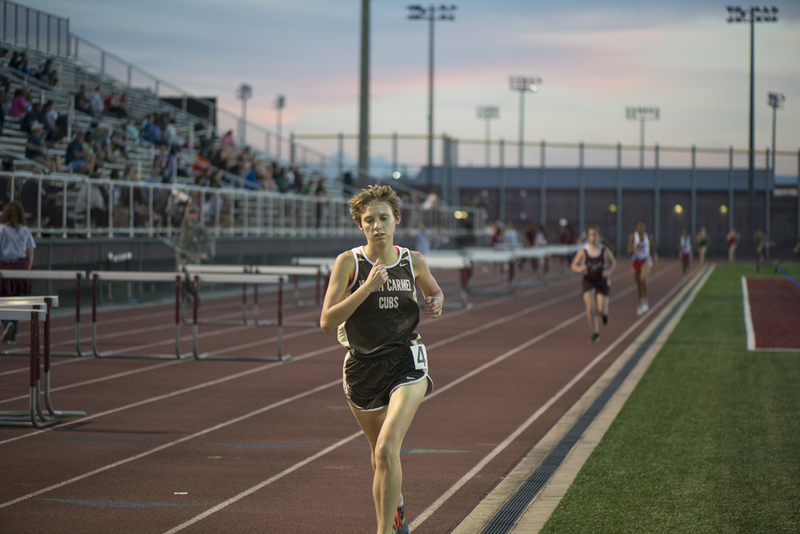 Elizabeth Traylor finished in 2nd Place in both the 1600 Meter Race (6:03) and 800 Meter Race (2:45)! Katie Huval finished in 2nd Place in the 3200 Meter Race with a time of 13:23! 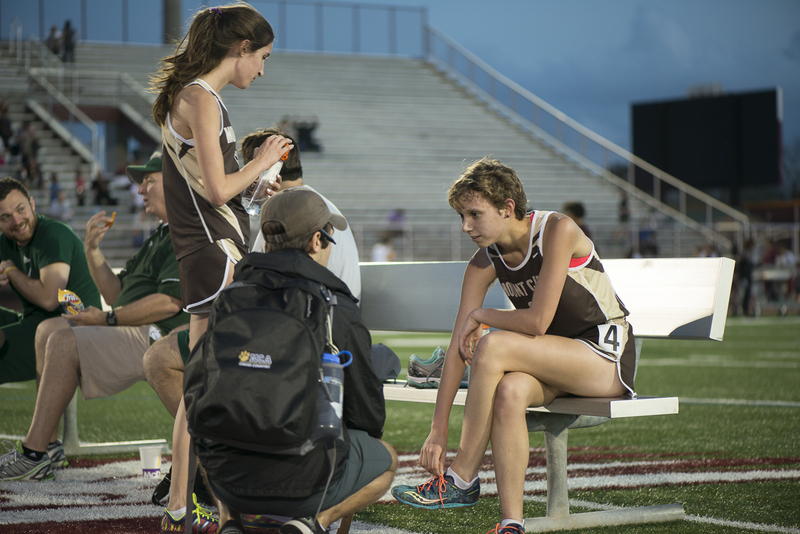 Sammi Rogers helps her teammates to victory in the 4x800 Meter Relay at the Junior High District Championship! Lyla Logan finishing 1st in the Long Jump! The 4x800 Meter Relay Team (Riley Imbornone, Sammi Rogers, Emma Brewster, and Emma Meneses) set a new Junior High School Record! The team won the event with a time of 11:22! The 4x200 Meter Relay Team (Jane Schneider, Mary Ferguson, Emily Chaplain, and Teresa Cashen) finished 2nd with a time of 2:00! The 4x100 Meter Relay Team (Jane Schneider, Mary Ferguson, Emily Chaplain, and Teresa Cashen) finished 2nd with a time of 57.74! Riley Imbornone finished 1st in the 1600 Meter Race with a time of 6:13! Emma Meneses finished 2nd in the 1600 Meter Race with a time of 6:21! Emily Chaplain finished 2nd in the 100 Meter Hurdles with a time of 20.83! Teresa Cashen finished 2nd in the 200 Meter Race (29.82) and 3rd in the 100 Meter Race (14.69)! Sammi Rogers finished 1st in the 800 Meter Race with a time of 2:48! Emma Brewster finished 2nd in the 800 Meter Race with a time of 2:57! Anne Zimmerman finished 1st in the 3200 Meter Race with a time of 14:25! Sarah Chopin threw a season best 82'4" in the Javelin, finishing in 5th Place! Shanna Grandpre' threw a season best 76'3" in the Discus, finishing in 6th Place! 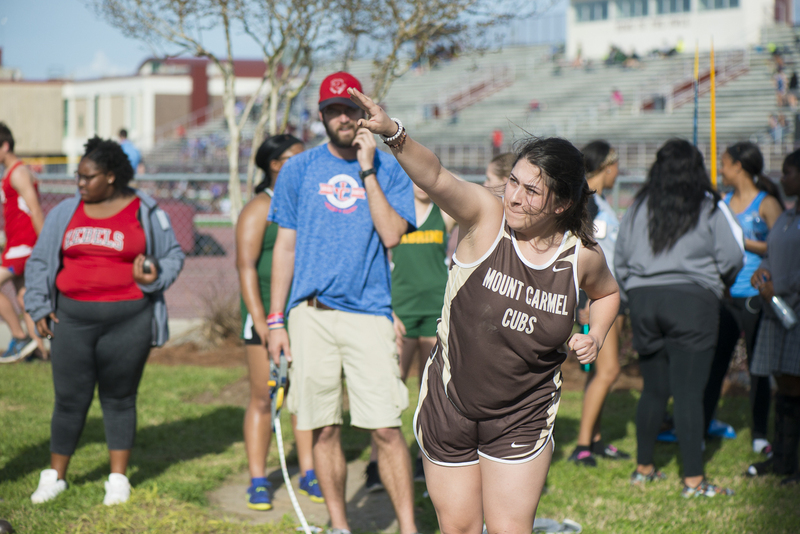 Mary Guy threw a career best 26'2.5" in the Shot Put, finishing in 5th Place! Brooke Nuss jumped a career best 28'5" in the Triple Jump, finishing in 6th Place! Caroline McClure jumped a season best 15'2" in the Long Jump, finishing in 5th Place! Brianna Crabtree ran a season best 13.26 in the 100 Meter Race, finishing in 5th Place! Lauren Tague ran a season best 13.39 in the 100 Meter Race! 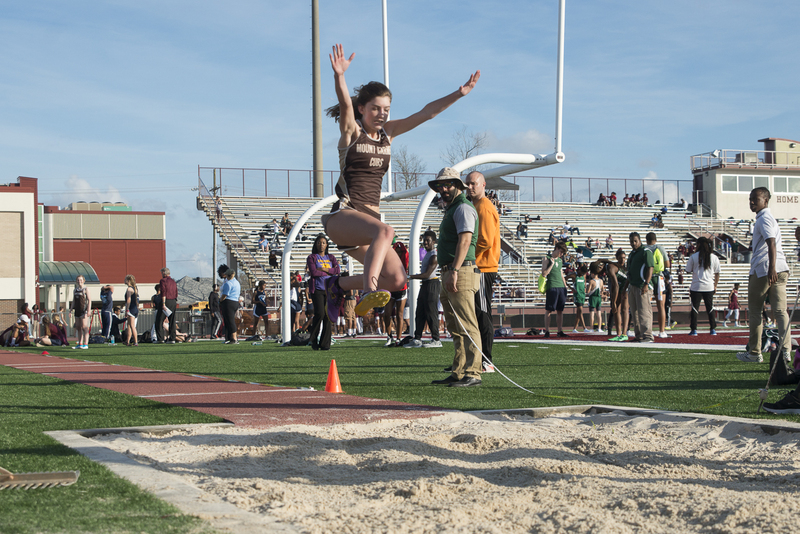 Congratulations to all athletes who competed in the High Flying Owls meet February 28 at Chalmette! I can't "relay" to you how great this handoff is. 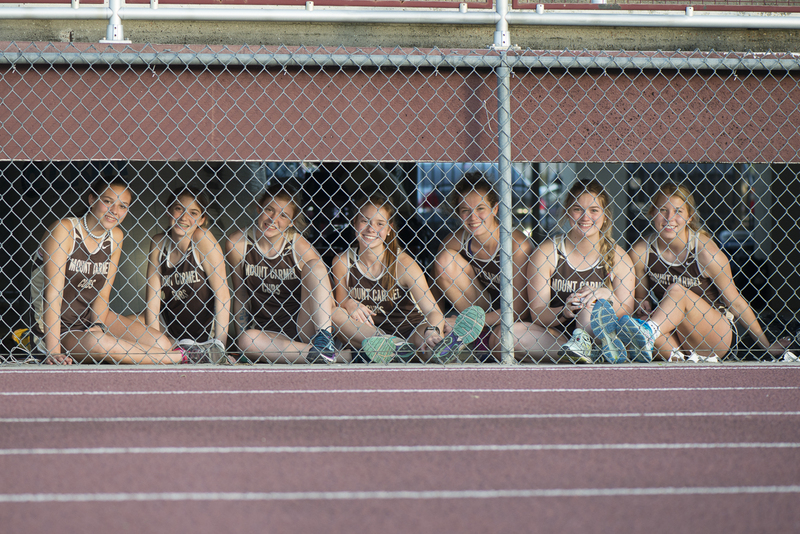 Sadie, Annelise, Ashleigh, Erin, Scarlett, Madison, and Jo are in track jail. Crime: leaving a bag of pretzels after the meet. Punishment: Two extra laps Monday.